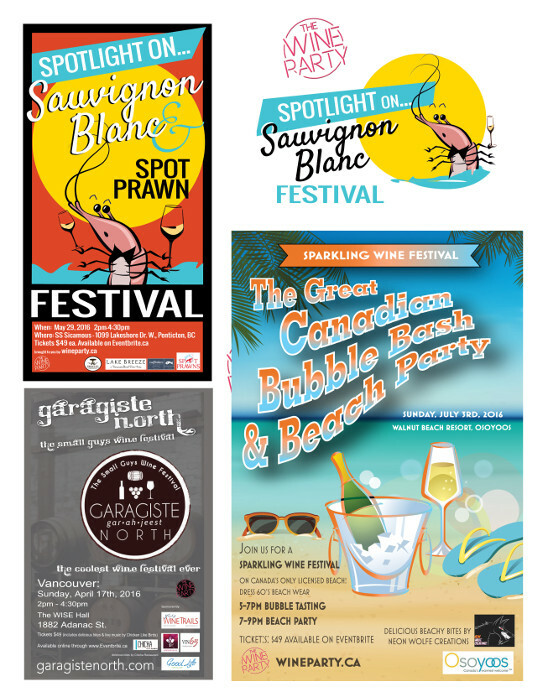 Poster design is also a designers dream - and a great way to showcase your event. 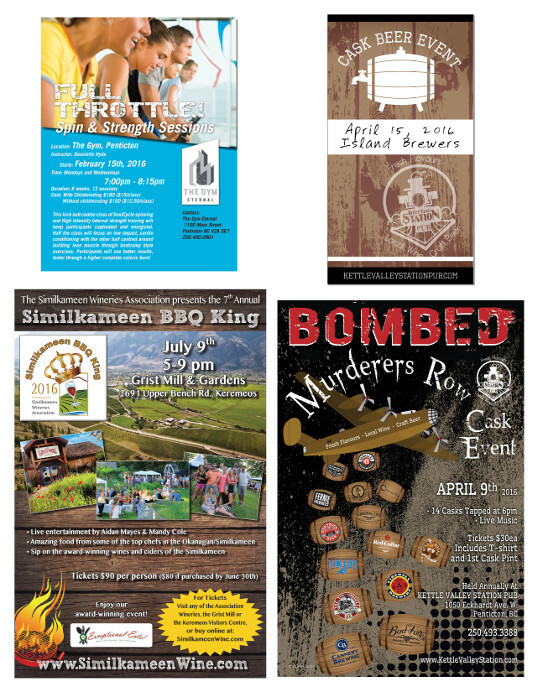 Spitfire's posters have been framed and collected for years for many events over the past two decades of designing for local events from Ironman Canada to Fest-Of-Ale®, Pentastic Jazz Festival, several Wine Events and Murderers Row Craft Beer Festival at the Kettle Valley Station. Besides events, many of my packaging clients order poster design as part of their customers' demand for a collectible poster and what a great way to promote your company being on the walls of offices and homes. These graphics translate into online ads, and event promotion on various social media websites, print ads and programs. 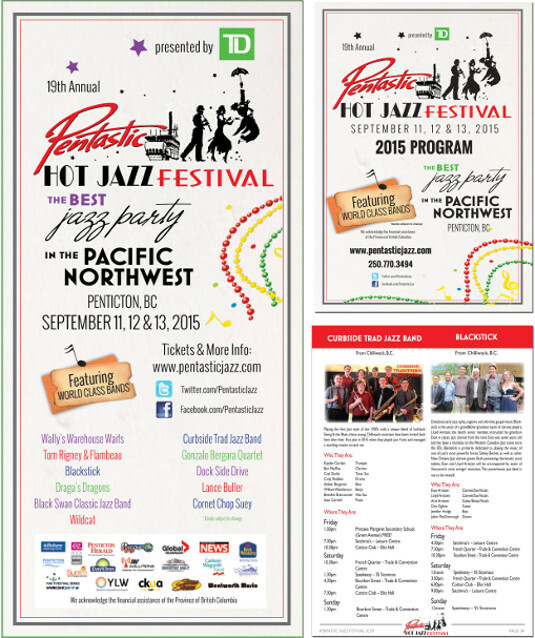 Penticton Web Hosting by Frostybot Marketing Corp.